Well, since it’s too cold for me to work in my felting studio, I decided to play around inside. I’ve had some ideas for repurposing or upcycling old sweaters from the thrift shop. 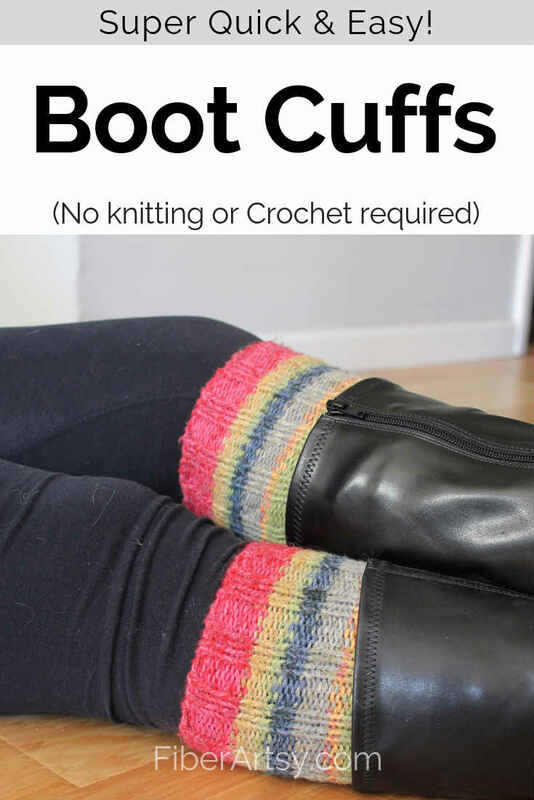 The first project in this series of tutorials is DIY Sweater Boot Toppers also called Boot Cuffs or Boot Socks or Leg Warmers. My daughters love wearing them but the selection at the store is somewhat lacking. The sweater selection at the local thrift shop, however, is not. Really any kind of old sweater works for this project. It just depends on the look you want to achieve. Just make sure the sleeve isn’t too tight and fits well. If you have an idea for the felted zebras, by all means, let me know! Start by measuring your sweater sleeve. 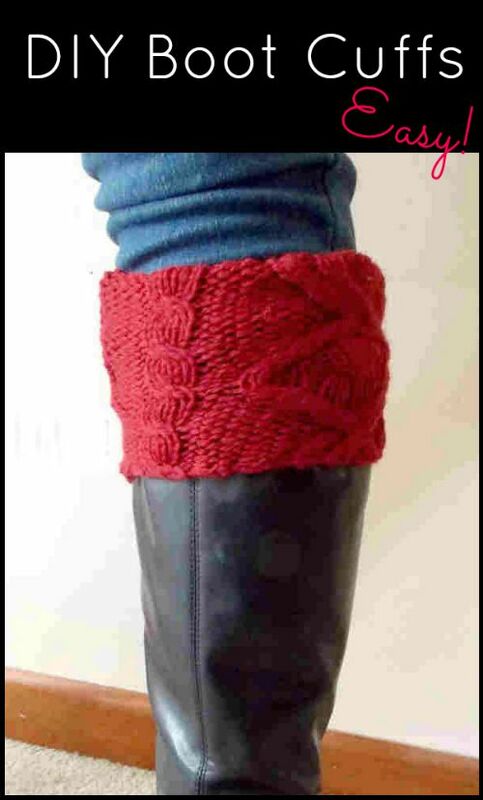 The length of the boot topper is really up to you but obviously, the taller the boot, the longer the cuff should be. 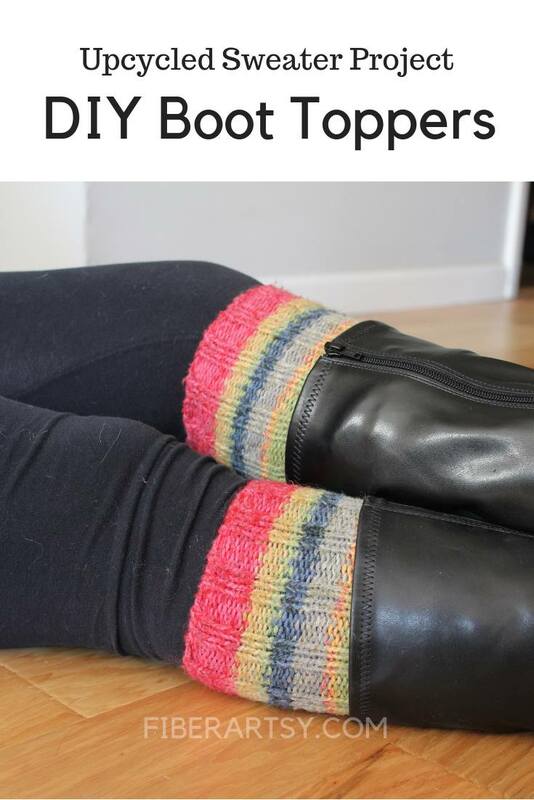 The part you fold over the top of the boot (the actual boot topper) needs to be at least 3-4″. These are for tall boots so I made the whole thing about 12″ long. Cut the sleeve about 2″ longer than the final boot cuff size. That way if the knitting ravels, you have plenty of excess. Next, place pins next to where you will sew as a guide. 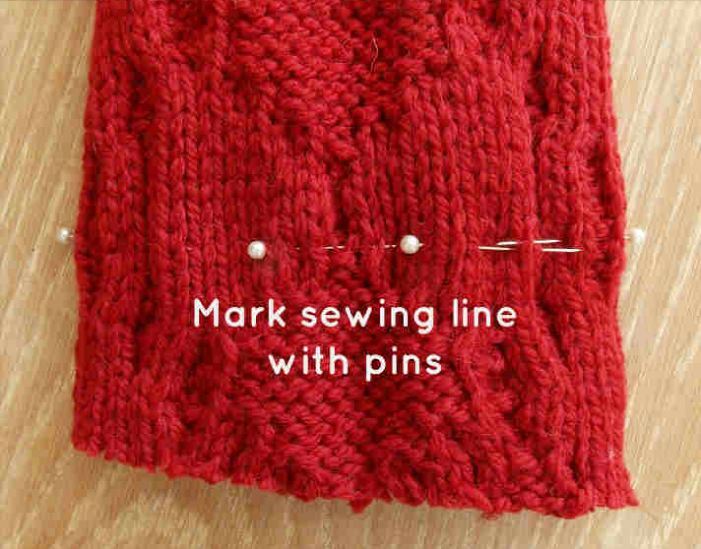 Using either a sewing machine or needle and thread, sew along the pinned guide, all the way around the sleeve. Make sure you only sew through one layer of the sweater, not both. 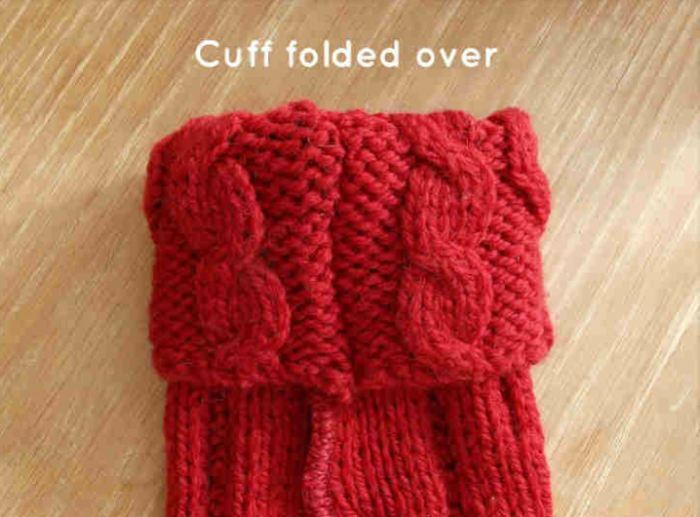 If the sweater you’re using is thin, go ahead and hem it by folding over appr. 1/2″. This one is very bulky and I didn’t want a thick seam which might be annoying to wear. 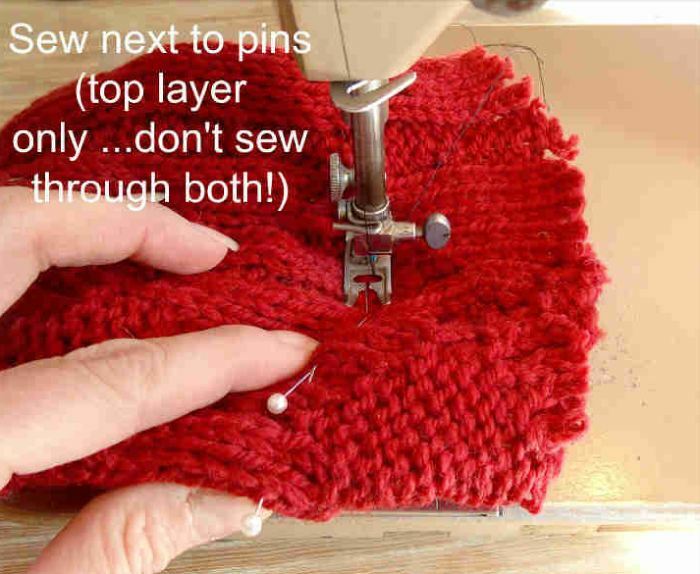 To help prevent raveling, sew a second line next to the first. All that’s left now is to cut away the excess sweater next to the seam. Don’t cut it too close… 1/2″ or so. 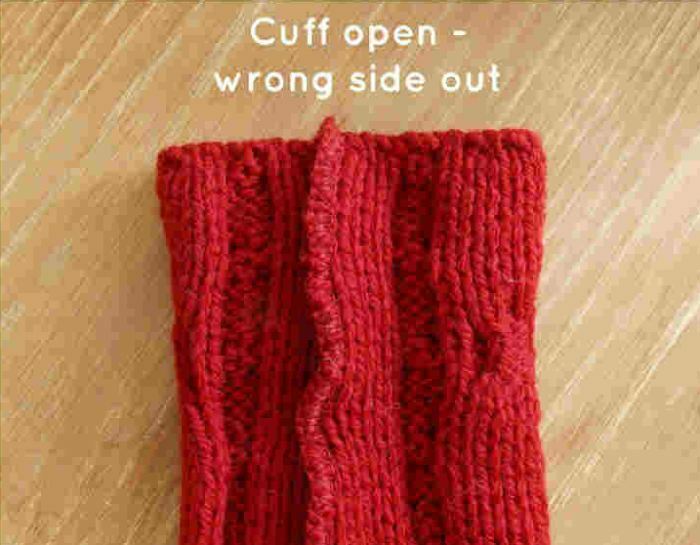 Fold over so the cuff part is the outside (right) side of the sweater and you’ve got a boot cuff. Repeat the whole shebang with the second sleeve and you’re good to go! 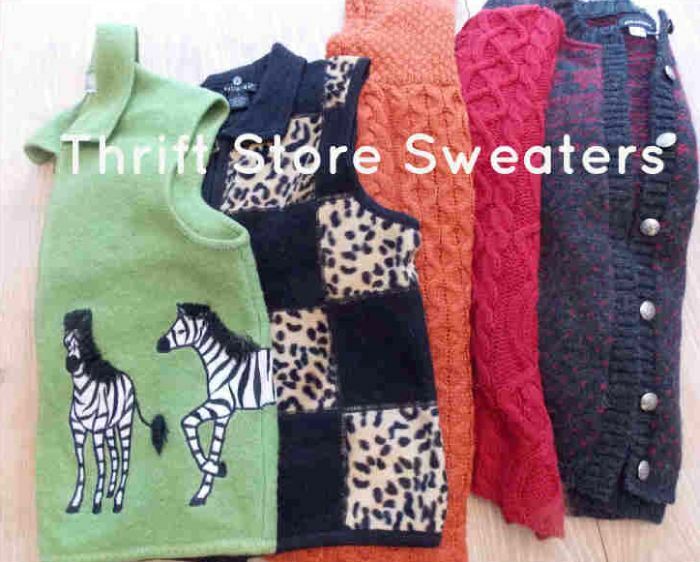 This upcycled sweater project is inexpensive and fun! A good, beginner sewing project that’s perfect for teens. 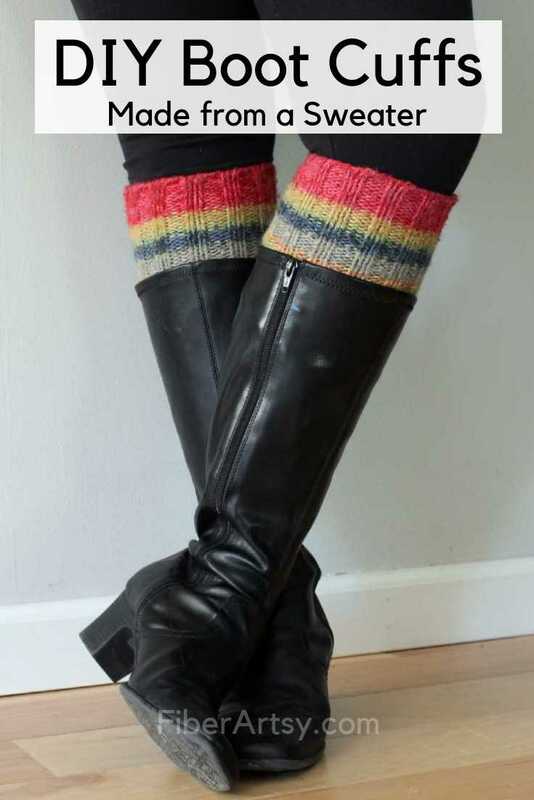 Since I made these boot toppers, I’ve shared a few other ways to repurpose old sweaters. Here I made some fun and easy Fingerless Gloves from a Sweater. My latest project was DIY Wine Bottle Sweaters or Wine Gift Bags. Stay tuned for those Sweater Christmas Stockings. These are adorable, and I think that even the most craft-challenged person (read: me) could handle this! Photo resolution is great, too, by the way, and the page loaded quickly. And yes you absolutely can! I can make do dyeing and felting but sewing…. not so much. So, if I can do it, so can you. What a great idea and looks simple enough to make if you can sew. When I first saw the photo I thought you had knitted all the cables and was thinking that did not look like and easy knitting pattern with all the cable stitches.